On the 22nd of March the local Church celebrated the devotional festivity in honour of the Blessed Virgin Mary of Sorrows known as Mater Dolorosa. At 6.00 p.m. the Mass and procession with the statue of Our Lady were held. Archpriest Can. Reuben Micallef celebrated Mass and preached. Palm Sunday was held on Sunday 24th of March. On Saturday evening (23rd) Mass was held at 6.00 p.m. The olive branches were blessed by the parish priest in front of the Parish Centre just before Mass. A good congregation attended. Thursday the 28th of March the Catholic Church celebrated Hamis ix-Xirka known in the English speaking world as Maundy Thursday. 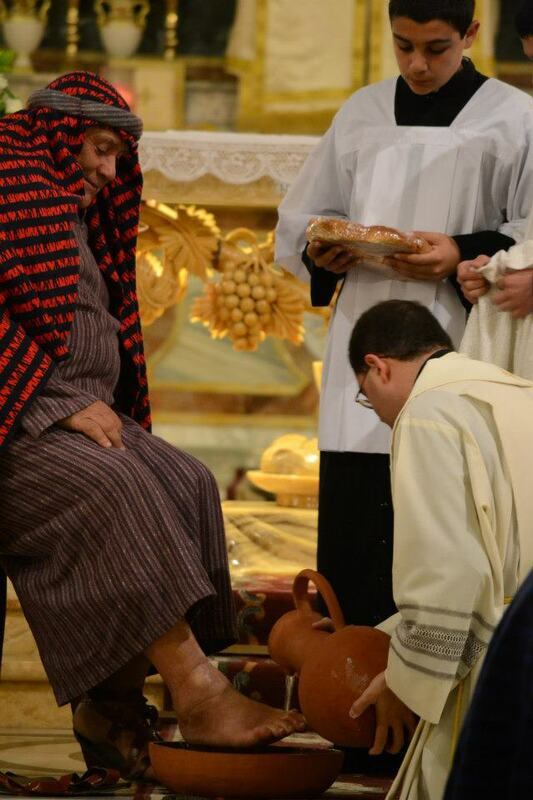 This was the first Maundy Thursday for the new Pontiff, Pope Francis I who decided to celebrate the Eucharistic Liturgy at one of Rome’s prisons. Here in Zebbug the Liturgy of the Eucharist began at 6.00 p.m.
No Masses are celebrated on this day which is dedicated to the adoration of the Cross. The Liturgy in the Church begins at 3.00 p.m followed by the procession at 6.00 p.m. The Procession of Good Friday in Zebbug goes back to 1919. The Santa Marija Band of the locality will accompany the devotional pageant-procession. The Vigil of Easter Saturday is called the Queen of all liturgies since it is the most important liturgical celebration of the Christian liturgical year. The Liturgy begins at 8.00 p.m. Everybody is encouraged to attend. Easter Sunday this year will be celebrated on the 31st of March which is also a national holiday. Masses will be as on Sundays. The concelebration will take place at 4.00 p.m. followed by the Korteo with the statue of the Risen Christ. As from Monday the 1st of April the evening Mass will be held at 7.00 p.m due to the bringing forward of the clock (one hour).